Warner Bros. Interested In Writer / Director James Gunn For Worlds Of DC Comics Films After Disney Fired Him From Marvel’s Guardians Of The Galaxy 3. The ‘Guardians’ director has been approached by several top producers and executives dangling big film projects. James Gunn may have been fired by Walt Disney Studios from Guardians of the Galaxy Vol. 3, but many in Hollywood are looking to work with the controversial filmmaker. 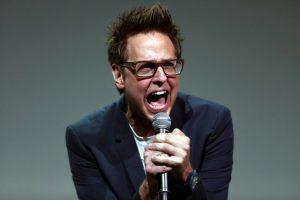 Gunn, who was fired July 20 after past offensive tweets came to light, has been approached by several top producers and executives at major studios dangling big film projects, sources tell The Hollywood Reporter. “I’d work with him in a heartbeat,” says one senior executive at a rival studio. Like the dozen or so execs and producers THR spoke with, this exec asked to remain anonymous because Gunn is not permitted to entertain other offers while his negotiation to exit Disney is ongoing.